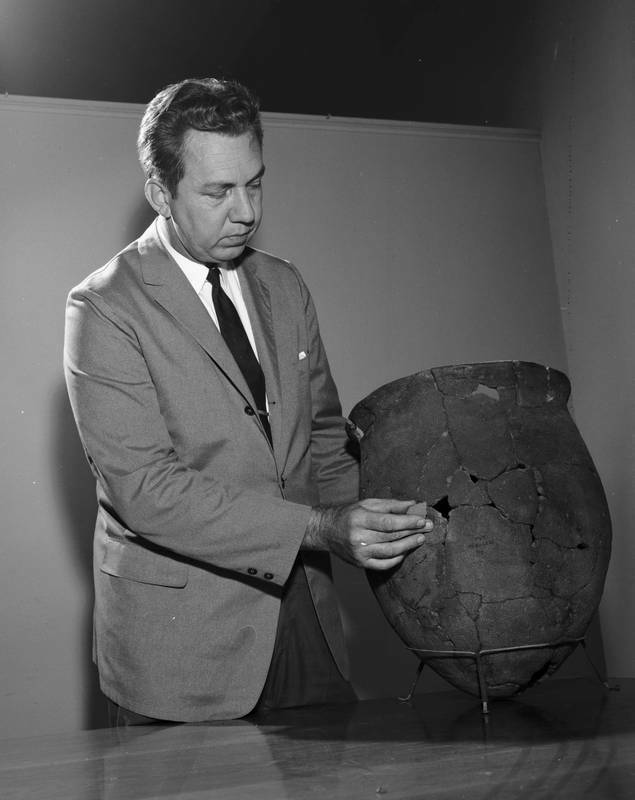 Anthropology professor Joffre Coe discovered many of the university's American Indian artifacts at two North Carolina locations. The Hardaway site in Stanly County was one of the oldest finds in North America, with spear points and tools from the early Paleo-Indian era. In 1998, the site's owner, Alcoa, transferred the collection's ownership to the university. Coe also led the excavation at the Town Creek Indian Mound in Montgomery County, a settlement in central North Carolina that dates from 1150 to 1450 A.D. The mound was actually a series of temples, one built atop another, that faced a large ceremonial plaza encircled by mortuary houses.